It’s rare that Republicans and Democrats see eye-to-eye on healthcare reform. And yet, in early September, Sens. Lisa Murkowski (R-AK) and Bernie Sanders (I-VT) each suggested that Americans be allowed to import prescription drugs from abroad to save money. This isn’t the bipartisan healthcare reform our country needs. The ban on foreign drug importation exists to protect Americans from dangerous counterfeit medicines. Lifting the prohibition might save some patients a little money in the short-term, but those savings would come at an enormous cost to public health. Many Americans may not realize that drugs imported from abroad aren’t subject to the same strict safety regulations as medicines sold in the United States. The Food and Drug Administration has repeatedly warned it can’t monitor the safety of drugs sold through foreign pharmacies. Those drugs are often fakes. As many as one in ten prescription drugs circulating around the globe are counterfeit. Interpol estimates that these counterfeit medicines are responsible for more than a million deaths each year. Congress has previously considered legalizing imports from Canada, which may seem like a trustworthy source of medicines. It’s not. The Canadian government doesn’t monitor the quality of prescription drugs sold to foreigners. Most drugs purchased through Canadian pharmacies aren’t made in Canada, according to a new study by the National Association of Boards of Pharmacy. Of more than 100 online pharmacies claiming to be based in Canada, roughly three-quarters sell drugs manufactured in other countries. All of the pharmacies sold medicines without requiring a valid prescription. American patients who fill prescriptions from these disreputable pharmacies have no idea what’s actually in their pill bottles. Consider one Juneau resident arrested last December for driving erratically. Police found what appeared to be an oxycodone painkiller pill in the man’s car. But lab testing revealed that the 30 mg tablet actually contained fentanyl, a powerful synthetic opioid 100 times stronger than morphine. If Congress legalizes foreign drug importation, such fakes will become commonplace. Opioid deaths, which already comprise 74 percent of all overdose deaths in Alaska, will spike. Proponents of drug importation rarely acknowledge these dangers. Instead, they tout the potential savings for patients. Even this economic argument is far from clear-cut. An FDA analysis found that five of the seven most prescribed generic drugs were cheaper in the United States than in Canada. For instance, Canadian online pharmacies sell generic metformin, a diabetes drug, for 10 times the U.S. price. Admittedly, many brand-name drugs are priced differently in other countries. But these differences are usually the result of price controls imposed by foreign governments. For instance, Canada’s Patented Medicine Prices Review Board caps the price patients pay for the newest medicines. If Americans were allowed to purchase foreign drugs at artificially low prices — effectively importing price controls — it would hamper domestic pharmaceutical research. Drug companies would have little incentive to fund future medical research if there were no chance to earn a return on their investments. Pharmaceutical companies are in the process of developing around 7,000 new medicines for conditions like Alzheimer’s, cancer, heart disease, and numerous rare illnesses for which adequate treatments don’t yet exist. De facto price controls would bring many of these projects to a halt. That’s awful news for future patients. Undercutting the pharmaceutical industry also would threaten the jobs of roughly 4.7 million Americans. Big Pharma CEO’s (such as Martin Shkreli) need to cooperate with Congress and place efforts on affordable pricing and investing towards effective pharmaceuticals. There are solutions to get us there, though this just isn’t one of the safest or smartest. It’s irresponsible for politicians to promise voters cheap foreign drugs without acknowledging the risks of importation. Flooding the market with hazardous pills of unknown origin would put Alaskans’ lives in danger and undermine scientific progress. 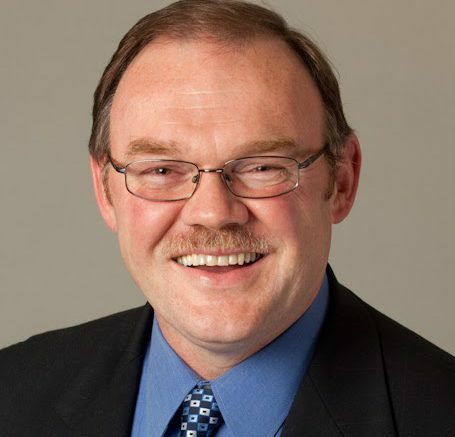 Paul Honeman is a former Anchorage Assemblyman representing East Anchorage He also is a retired Anchorage Police Department Lieutenant. 2 Comments on "HONEMAN: Prescription Drug Importation Is Dangerous for Alaskans"
Hasn’t most American drug makers moved overseas to save money? Wouldn’t those products be considered imported when they return? I hear nearly all our aspirin is manufactured in China. I’d guess they don’t have the same strict quality controls on manufacturing that we used to have in America. Paul Honeman you know me from my days in Risk. What you don’t know about me is that I suffer from an invisible — yet very painful — disease called Fibromyalgia. Each and every day at work I was in pain, sometimes from merely having my clothing touch my skin. Please, please don’t shoot those in need . . . patients diagnosed with painful medical issues. DO go after the pharmaceutical companies that charge outrageous amounts for desperately needed medications. Just one of the medications I rely on is Gralise. A months supply runs $900.0 to $1100.00 per month. I wont even tell you what my Parkinson’s Disease meds run! If you wish to contact or discuss this with me, just post a comment to this post and I will get in contact with you.